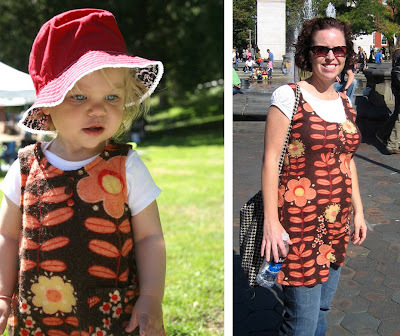 No, we don't dress alike (yet), but I was pretty proud of my recent garment transformation. I wore this dress over my bulging gut when I was pregnant. Post-pregnancy it was stretched beyond repair so I re-cut the fabric and fashioned a mini version for Adeline.